I have 4 children n 16 grand kiddos!! All are very good kids!! I'm proud of each!! Pamela McGranahan Withrow has a birthday today. 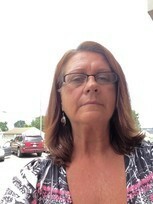 Pamela McGranahan Withrow changed her profile picture. Pamela McGranahan Withrow added a photo to her profile gallery. Pamela McGranahan Withrow posted a message. New comment added. I have looked n searched trying to find you!!! I hope ur doing well. I'm so glad we meet after all these years!! I luv you my sweet friend!! ? ?